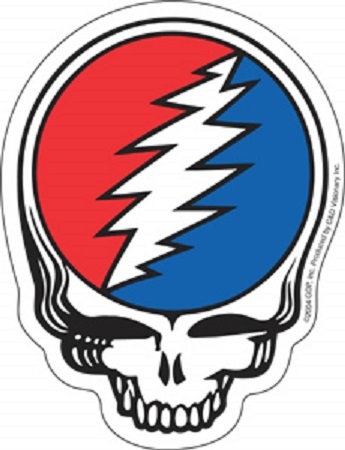 This Grateful Dead sticker is a diecut stealie. It measures approximately 5" tall and can stick anywhere. Your car, locker, computer, etc. Officially licensed Grateful Dead merchandise.